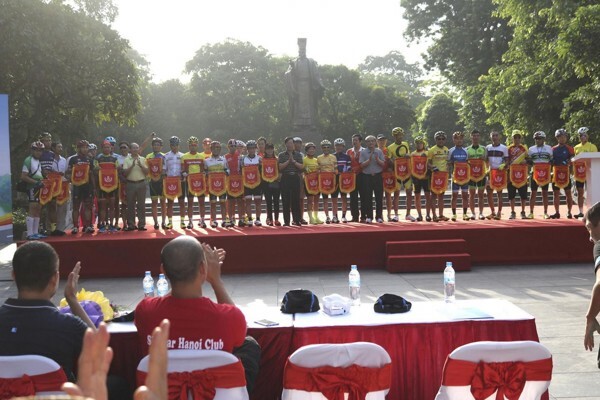 On August 27, Hanoi Department of Culture and Sports held the opening ceremony of the fourth Hanoi Open Cycling Race 2017. This tournament was a cultural and sporty event, a part of series of events to celebrate the 72nd successful August Revolution (19/08/1945 – 19/08/2017) and the National Day (September 2). 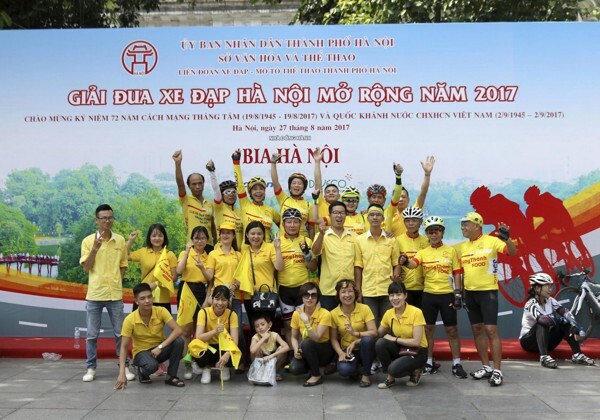 This was also an activity to promote physical training, to improve health conditions of students, officials and workers with the slogan “Be healthy to build and defend the country”, to strengthen cooperation and to exchange experience between the citizens of the capital and people of other provinces and countries. 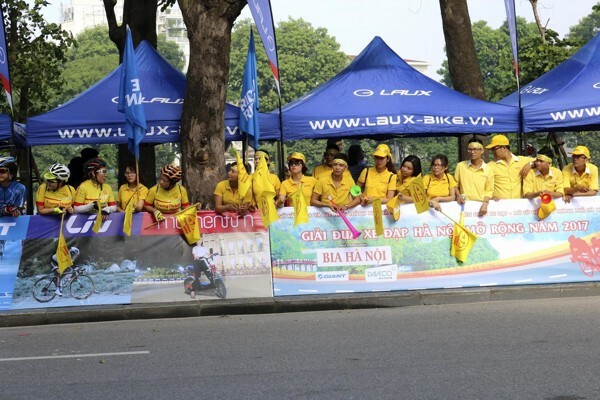 Mr. Truong Minh Tien – Deputy Director of Department of Culture and Sports said: This year’s tournament had the participation of 400 athletes from 42 bicycle clubs across the country. Competing items were divided by age and gender of the athletes. 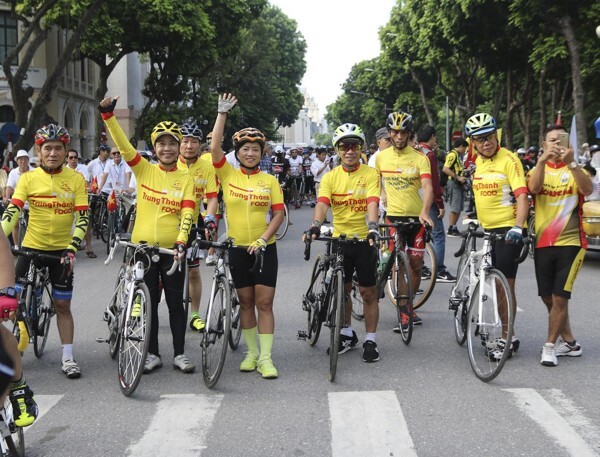 TrungThanh Bicycle Club attended this big tournament with longtime practice racers, led by Ms Vu Thuy Nga – Head of the club – Director of TrungThanh Ho Chi Minh City Branch, President of TrungThanh Trade Union. 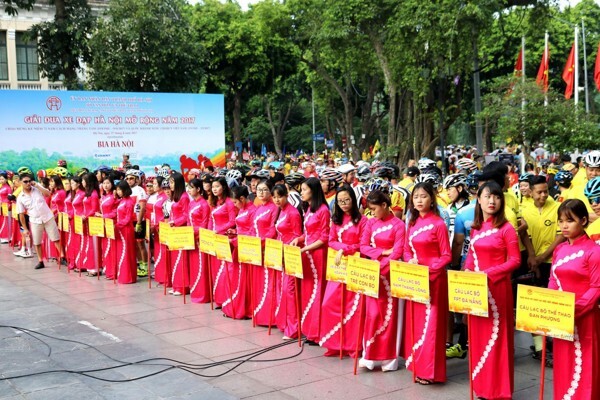 Although TrungThanh members tried their best with the passion of cycling, they did not win any award. However, the whole team felt happy and honored to be present at the tournament and had a chance to gain experience from other teams.